Tall people are fairly lucky when it comes to bikes. There are plenty of tall frame sizes out there. But there’s a lot more to consider than simply the size of the bike. I hope this guide for the best bikes for tall people will help you get that perfect ride. 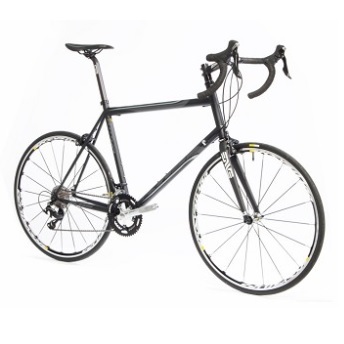 If you want the fast answer though, check out the KHS road and mountain bikes below. They are the best bang for the buck tall specific stock bikes on the market, available from the designer himself, Lennard Zinn. While a tall person can often find a proportionally sized frame, the same is not true for crank length. 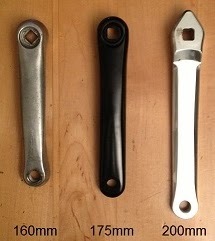 Bikes of all sizes come with nearly identical crank lengths–around 175mm. The casual tall cyclist might not mind this. 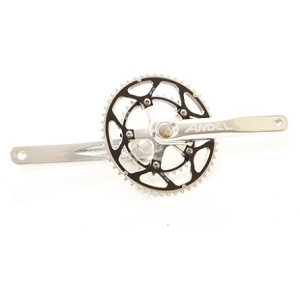 But if you’re going for performance, then you’ll want proportional cranks too. One study found optimum crank length to be approximately twenty percent of leg length.1 A good analogy to help in grasping this is jumping. You wouldn’t tell a taller basketball player not to bend his knees as much, right? Likewise, cranks should allow a cyclist’s hips and knees to move through a similar range of motion independent of stature. I bought my first set of 200mm cranks from High Sierra Cycles. 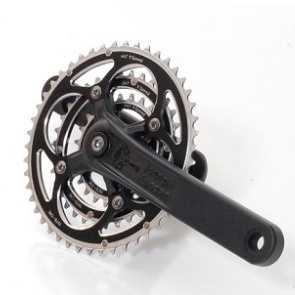 They sell a variety of crank lengths and types including integrated, carbon, singles, doubles, compacts, and triples. Zinn Cycles also does large cranks. KHS is producing larger quantities of a 200mm integrated crank that can be purchased through Zinn Cycles. Other sources for longer cranks include Universal Cycles, Davinci Tandems, Zen Cranks, and Custom Cranks. The problem with longer cranks though is that they may require slightly different frame geometry, including a higher bottom bracket to avoid clipping a pedal on the ground. Some of the bikes I mention in later sections are designed specifically around 200mm cranks. Another aspect that bike manufacturers typically don’t scale for tall riders is the wheel. 29″ and 700c are about the same size and what are typically used on bikes for tall people. These do a decent job–much better than 26″ mountain bike wheels. Though there’s definitely room for improvement. There are many reasons why a wheel should scale proportionally with the frame. Perhaps the most obvious is that it allows for a smoother ride for the larger person’s greater mass. The next step up are 32″ and 36″ wheels. More on that later. The tall cyclist is also likely heavier than average and thus should pay special attention to frame strength and stiffness. As far as frame material goes, steel and titanium have an advantage over aluminum in that they won’t fatigue as long as stresses remain below a certain limit. I don’t mean to say that an aluminum frame properly designed for the rider can’t make for an excellent solution. We do make airplanes out of aluminum after all. As some might argue though, airplanes are retired after a certain number of years, which may not be the case for all bikes. Road bikes, including touring and cross bikes, are usually sized by their seat tube length in cm. The general rule of thumb is that when you straddle the top tube and lift it up to your crotch, the tires should be about an inch off the floor. But this only ball parks the size. There are other critical dimensions like top tube length. Getting a professional fit can help. Even better is taking the bike for a spin, if possible. A fairly common tall bike size is 64cm. Specialized, Motobecane, Trek, and Surly all have bikes in this size. The brands that do larger sizes include Soma, Gunnar, and KHS. 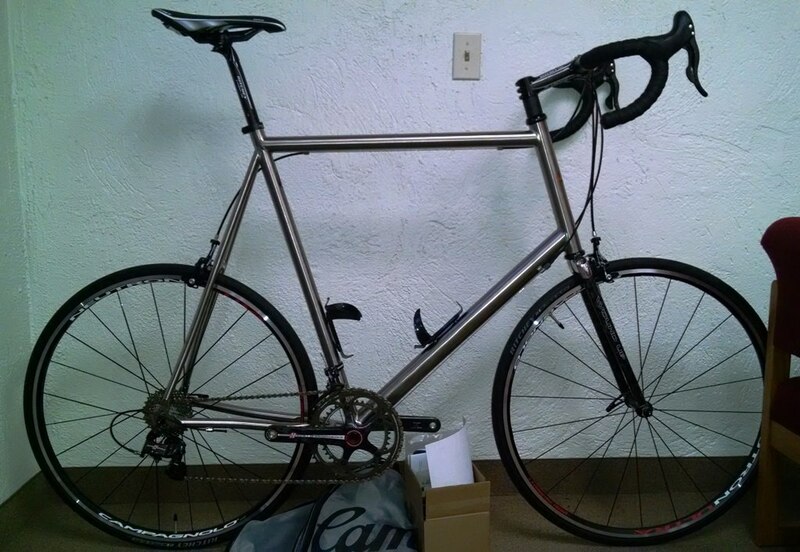 At 6′7″, I found a 64cm Surly Cross-Check to work fairly well for me. The one road bike that stands out among the rest is KHS’s Flite 747 (designed by Lennard Zinn). 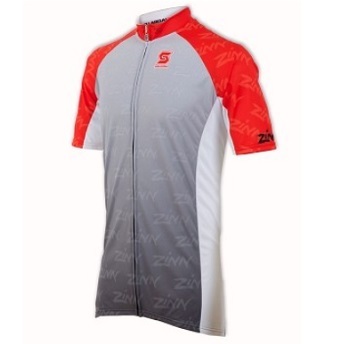 It comes in 2XL (65cm) and 3XL (68cm). But more significant than its tall stature is that it’s built from the ground up around extra long, 200mm cranks; the bottom bracket is higher, the seat tube is steeper, and the frame is stiffer to handle the greater torque. It comes with some decent Shimano componentry and has a cromoly steel frame. In general, it’s a great bang for the buck given a custom bike could easily cost you double. I used to ride one myself, read more here: Flite 747. The only other stock road bike with extra long cranks that I know of is the Big Apple, which happens to also be designed by Zynn. However, the 747 is a better deal. 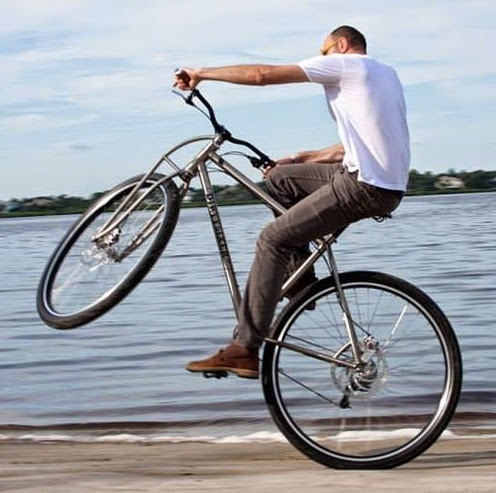 Update: I just found out about another company making bikes for tall people, it’s called BikeClydesdale. 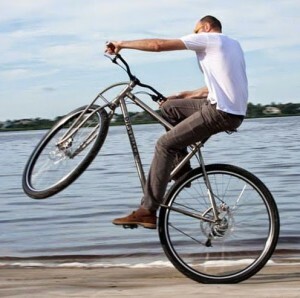 Their proportional crank titanium bikes fit riders as tall as 7′. Like road bikes, mountain bikes are also sized by seat tube length (inches rather than cm). But this can lead to confusion as mountain bike top tube slope varies a lot more between designs. Hence it’s even more important to get fitted and take it for a spin. As far as non-suspension mountain bikes for tall people, definitely check out Surly. For hard tale or full suspension bikes for tall people, I’d suggest looking at Kona. If you’re on a budget, check out Motobecane. One limitation of all these bikes though is that they come with and are designed for standard crank lengths. Luckily for us tall riders, KHS also sells a stock mountain bike designed entirely around 200mm cranks: BNT 29 designed by Lennard Zynn. 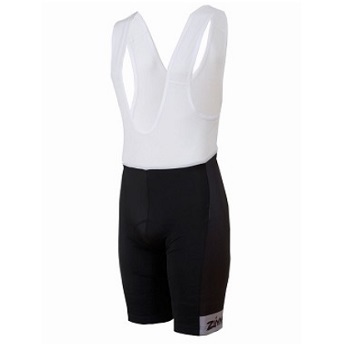 It’s an extremely versatile and well proven hard tail design. As with the Flite 747, mid range Shimano componentry is used along with a cromoly steel frame to get the best bang for the buck. It comes in both XXL and XXXL. Another spectacular options is the DirtySixer. It’s built about 36″ wheels and is specifically for tall people (32″ available now too). Granted it doesn’t have a suspension system like many other mountain bikes. But the extra large wheels should do a fine job at smoothing out the ride. These bikes are also designed around 200mm cranks and the frame and components are beefed up for heavy riders putting out a lot of torque. If for some reason none of the above options work for you, then you could always go the custom route. DirtySixer does make custom. 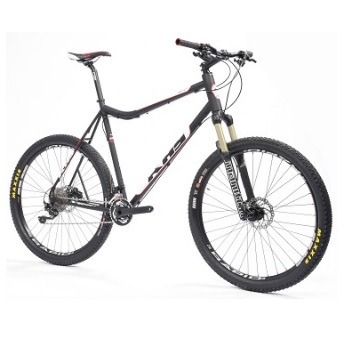 If you want a suspension mountain bike, then check out Zinn Cycles. Below are some useful components to make any old bike more tall friendly. Longer seat posts let you stretch out your legs, bar risers and bar ends let you sit up more, and longer stems can be a substitute for a longer top tube. 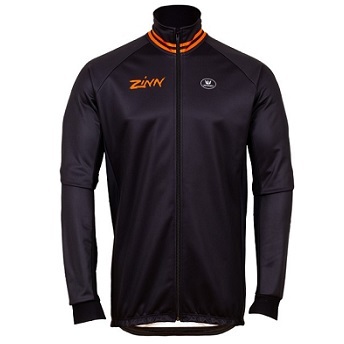 That’s right, Zinn does more than just bikes! I haven’t tried any of their stuff out personally yet. But if it is half as good as their bikes, it’s worth checking out! E-bikes are becoming increasingly popular modes of transportation. They maintain most of the benefits of cycling while getting you from A to B faster and easier. The problem though is that most e-bikes don’t come in tall sizes, particularly the sleek ones with built in batteries. But lucky for tall riders, there are plenty of e-bike kits out there that can be assembled on your existing tall friendly bike. 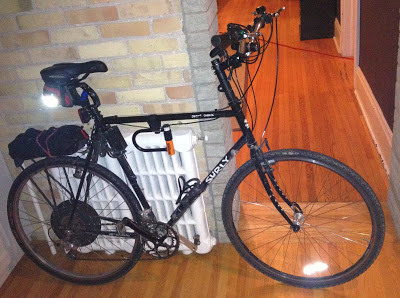 As an example, I built up my own 64cm Surly Cross-Check with a kit from ebikes.ca. 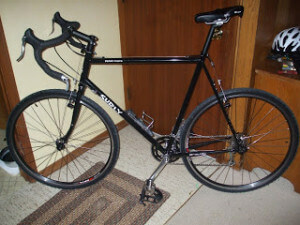 Check out the details here: Tall Surly Cross-Check E-Bike. Martin JC, Spirduso WW. Determinants of maximal cycling power: Crank length, pedaling rate and pedal speed. Eur J Appl Physiol. 2001;84(5). There are several options for tall riders out there. The dirty sixer is a nice idea but even the basic bike is very expensive. Plus finding 36″ tubes and tires will be a challenge. As for touring and city bikes there are two German companies who make bikes for tall riders. – Fahrradmanufaktur in Berlin. They have the XXL with 67 cm (26.4″) frame size with 700c wheels. Either with 8 speed Nexus internal hub or 27 speed Deore. Even with import shipping and duty cost this bike is a fraction of the price for the dirty sixer. – Utopia: The London comes in frame size all the way to 73 cm (28.7″). Totally customizable with various shifter and brake systems. Both the London and the Pedersen can be purchased as ebikes as well. I personally have switched to a recumbent and there are several options for tall riders. Especially in regards to long wheel base recumbents. I ride a 1999 BikeE XL. This company went out of business in 2003 but used bikes can still be found. The London looks awesome and huge! I would love to try that. The Pedersen now is just bizarre, would also love to try that 🙂 I’m guessing though that these bikes are all still based around standard crank lengths? 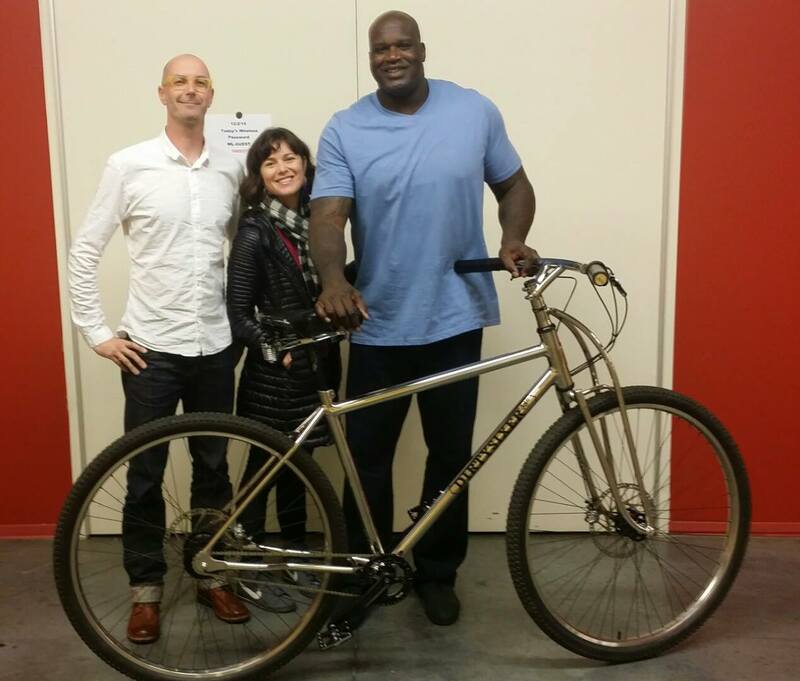 Thanks for writing in Stefan, really interesting bikes for tall people. Mindful that no one has commented on this post for eight months, I was hoping someone could educate me on a nagging bicycle question. You’re on the right track. It’s the taller person’s higher center of gravity in relation to the bike’s axle that is the issue. But on a big wheeled bike for tall people, the perpendicular distance from the axle to their center of gravity is less, thereby a smaller moment arm that can be rotate more easily. With a Dirty Sixer you will likely pop a wheel no problem.